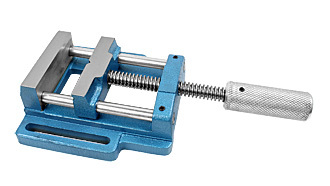 This light-duty machine vice features hardened-steel jaws. 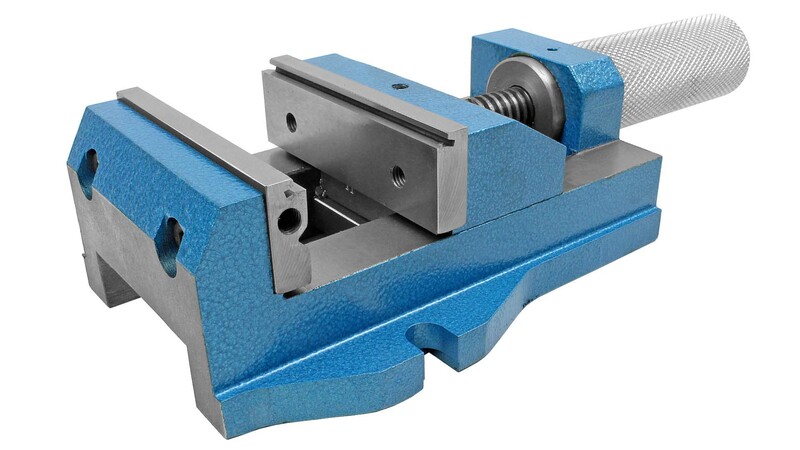 The movable jaw features triangular grooves running vertically and horizontally on its face so that round or square stock can be clamped firmly in place for precise machining. Two guide rods keep the moving jaw square to the back. 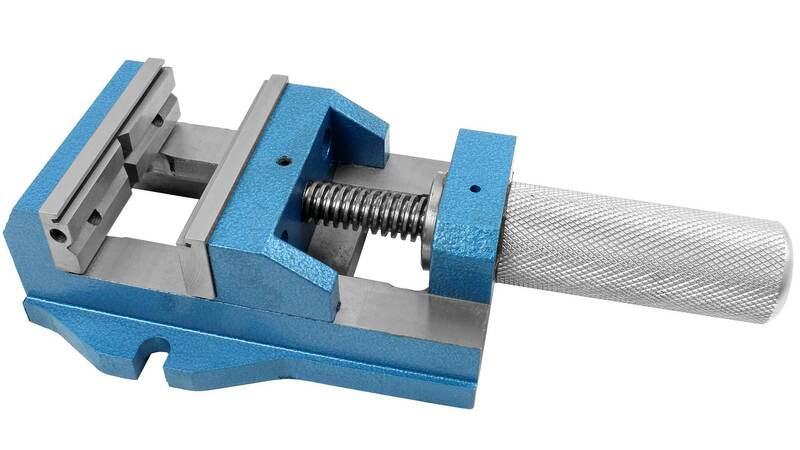 The knurled aluminum handle is 90 mm long and 30 mm in diameter to allow a firm grip and good pressure in the vice. It is manufactured by York, a traditional tool maker that has been making vices since 1921 in the Czech Republic. This heavy but compact model features removable jaw faces in steel, hardened to 45 HRC. The back jaw has triangular grooves running vertically and horizontally to allow firm clamping of round or square stock. 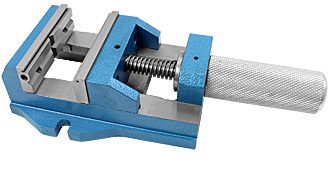 The knurled grip is 110 mm long with a 40 mm diameter to allow firm and comfortable clamping. 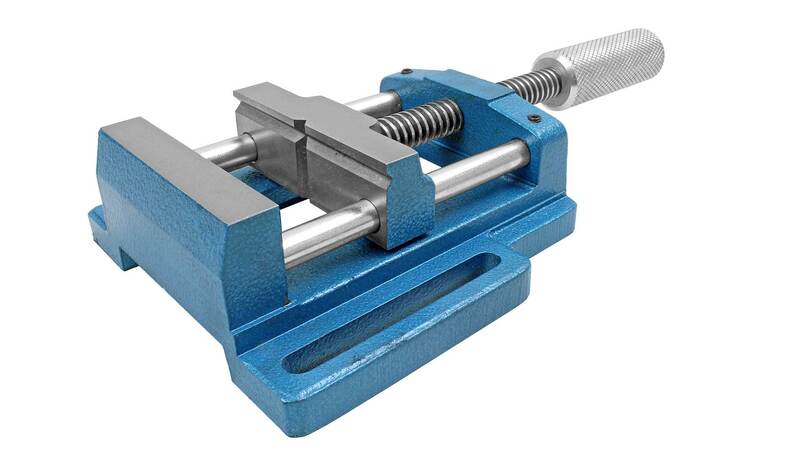 The jaws of this vice also have a recessed groove in the top of the faces, 4 mm high and 3 mm deep to allow flat stock to be effectively clamped. The guide system is precisely machined with large faces to combine easy movement with exact alignment of the jaw faces. The vice is manufactured by York, a traditional tool maker that has been making vices since 1921 in the Czech Republic.